Samsung built its new flagship phone from scratch after the Samsung Galaxy S5 was deemed a disappointment by phone buyers. The Samsung Galaxy S6 edge has a metal frame sandwiched by two pieces of Gorilla Glass 4, one in the front and one in the back. While giving the Samsung Galaxy S6 edge a new cool design, it does mean that the phone could be in pretty bad shape if it is dropped. How much protection can Gorilla Glass 4 provide? Perhaps a new video gives us the answer. A low-resolution clip has been uploaded to YouTube showing a woman apparently taking out her frustrations on a Samsung Galaxy S6 edge. Perhaps she is upset with the news that Zayn Malik has left One Direction. Or maybe she's pissed that her local McDonald's stopped serving the McRib. Whatever the reason, she throws the handset to the ground with a speed that makes us recall Bob Gibson in his prime. Despite the rather hard throw, a quick test shows that the Galaxy S6 edge has survived. It is hard to tell from the video, but it appears that there is no damage to the phone whatsoever. As we get closer to the launch of the device on April 10th, we probably will see more elaborate drop tests and water tests. Remember, because of the new build the Samsung Galaxy S6 lost the IP67 certification that it had last year, meaning that the Galaxy S5 could survive being submerged in up to 3.3 feet of water and emerge unscathed. That is not the case with the new models. Have butterfingers and worry that if you buy the Galaxy S6 edge it will end up shattered on the floor? Perhaps watching the embedded video below will help you get over this thinking. What the... is this the new 3310 ? i mean. i expect it to crack since thats what all phones do. but if that video is real thats pretty solid. the video quality isnt relevant. If it was cracked you would see it. You just being foolish. What does this have to do with the durability of the phone? It is the new gorilla glass 4. Which is better once again then gorilla glass 3. How can we know you are not paid by apple? 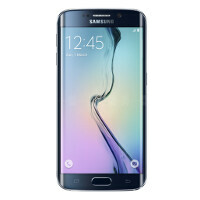 It looks like the S6 Edge not the regular S6. does it matter? They are both made of the same thing. Still, plastic on the back is tougher. Don't you have debts to pay? All are paid, full in gold. No aluminum. Lol Tryion.. Plastic would have shattered with these level of throws. all i can say after watching this is "what the f*ck???" This is a smash test and so violent indeed! I was so surprised at first then I can't stop laughing after watching this. She must be so angry! Haha good job Sammy! What is the purpose of breaking perfectly working devices?? Traffic. Look how many views this video already has. By tomorrow, it'll have at least 4x as many views and it'll probably exceed 1 million views if you give it enough days. If you have youtube partnership, the amount of money from 1 million views is way more than the amount you spend on a new phone.